Calling all Analytics and Excel visionaries: learn how to make beautiful reports people want to use, share appealing insights that are easy to understand, and securely break silos of complex data to make it accessible. We'll share new product innovations and our vision for modern enterprise BI and self-service BI; enabling your organization to build a data-driven culture. "Win a Microsoft Laptop Bag! 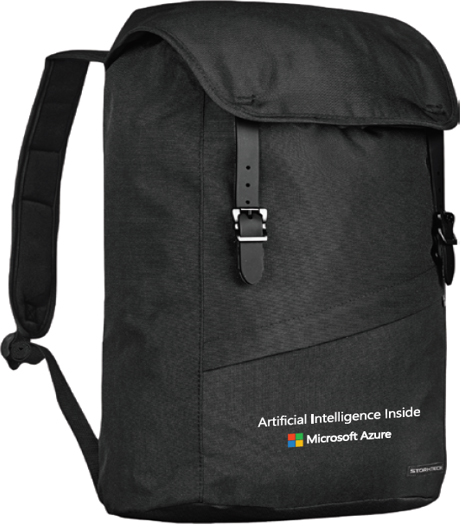 3 randomly selected attendees from each webinar who fully complete and submit an evaluation form after each webcast will receive a Microsoft Branded Laptop Bag (retail value $70). *"
Are you planning to deploy a Data, AI or Analytics solution? Apply for a complimentary workshop, assessment or Proof of Concept here. *No purchase necessary. Contest open to residents of Canada excluding Quebec and Public Sector employees. There are 3 prizes available per webcast (total of 36 prizes) to be won consisting of Microsoft Branded Laptop Bag (est. retail value $70). Odds depend on number of entries. Selected participant is required to answer correctly a skill-testing question. Entry deadline <11:59PM> ET on <December 20, 2018>. Limit 1 entry per person/webinar and limit 1 prize per person. For complete details, see Official Contest Rules available here.